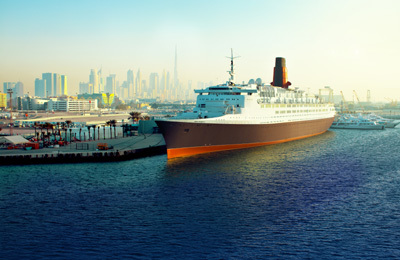 The iconic cruise liner Queen Elizabeth 2 is making a comeback on April 18 when it opens as a floating hotel in Dubai. The “soft opening” will see visitors welcomed on board to experience a selection of beautifully restored rooms and suites, to discover five of the planned 13 restaurants and bars and explore her rich history in the adjacent QE2 Heritage Exhibition. More than 2.7 million man-hours were dedicated to transforming this legendary ocean liner into the multi-faceted tourist destination that she is today. The 13-deck hotel has been thoughtfully restored to her former glory – maintaining her most loved interior design features - including her period furniture, renowned paintings and famous memorabilia.